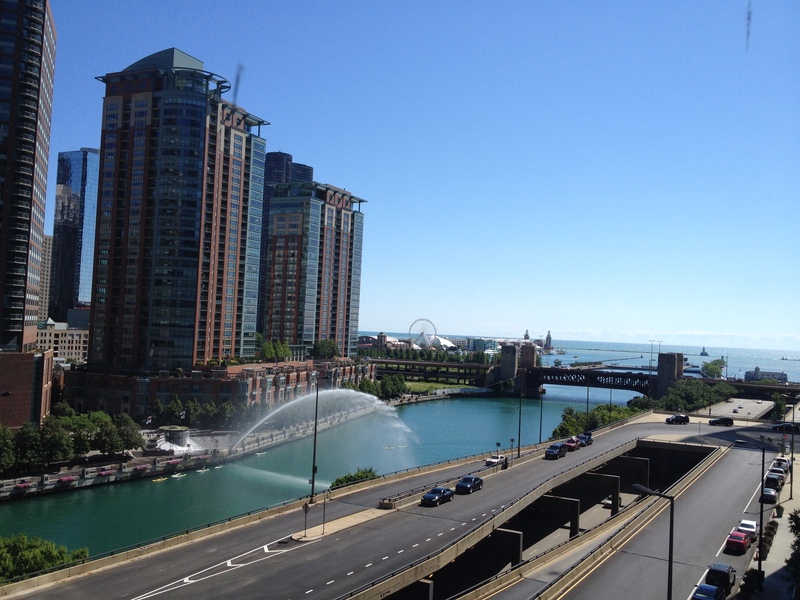 “Chicago Chicago…my kind of town”….words from Frank Sinatra’s famous song ring true. We recently spent 48 hours in this world class city with stunning architecture, an abundance of renowned museums, grand hotels, miles of gorgeous beaches and lakefront paths for recreation, champion sports facilities such as Soldiers Field and Wrigley Field, internationally acclaiming symphony, over 200 theaters and endless options for quality dining and clubbing. The third-largest city in the U.S., is many things at once – a blue-collar town that’s full of culture and gracious living, a classic Midwestern city with international importance, and a multitude of vibrant ethnic neighborhoods. There are many excellent, city center hotels here. We stayed at The Swissotel on the Chicago river, just a few blocks from Lake Michigan. Parking was very convenient, though expensive. Our corner room with over 65 feet of glass overlooking the river, the impressive skyline, the Navy Pier and lake was spectacular ! 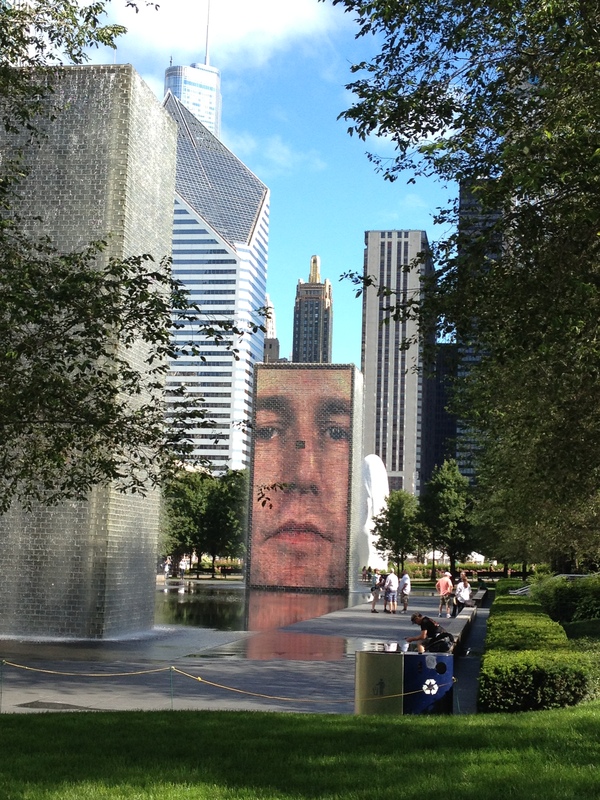 We started our independent walking tour at Millenium Park which was celebrating it’s 10th anniversary this summer. It is highly acclaimed as one of the most successful urban parks in the U.S. 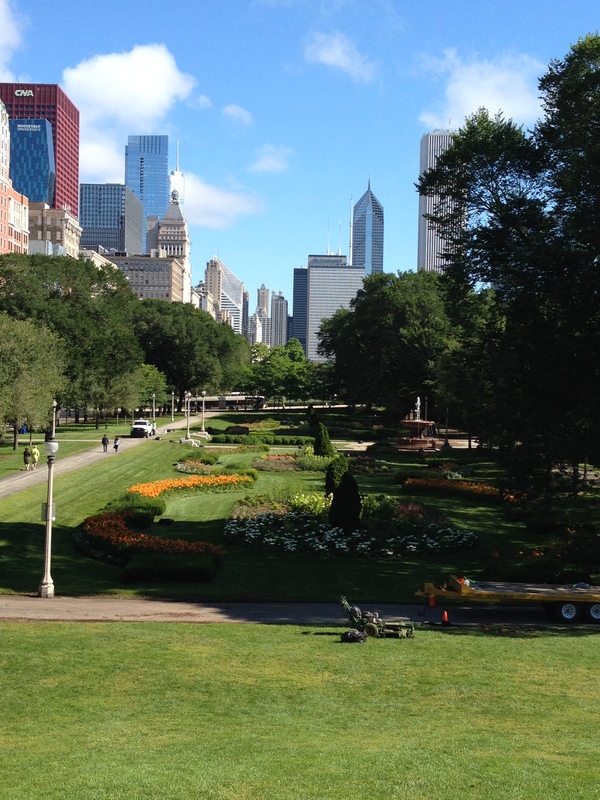 This 25 acre park is at the north end of Grant Park and is state-of-the-art, with a high-tech music pavilion designed by renowned architect Frank Gehrey, that hosts regular summer concerts and festivals. Gardens and grassy terraces and the Park Grill make for a large outdoor patio in the summer. The dual interactive Crown Fountain is one of the largest sculptures in the world and the water feature was being enjoyed by many on this hot day. Another sculptor is the 110-ton elliptical ‘Cloud Gate’ (referred to as ‘the bean’) by sculptor Anish Kapoor, which reflects people, buildings, the gardens and sky in its mirrorlike surface. A serpentine pedestrian bridge links Millenium Park to The Art Institute of Chicago, where we enjoyed lunch at the Terzo Piano restaurant, unfortunately time did not allow us visit the galleries. We moved on to Grant Park which runs along the Lake Michigan shoreline and bordered by N. Michigan Avenue on the other side. 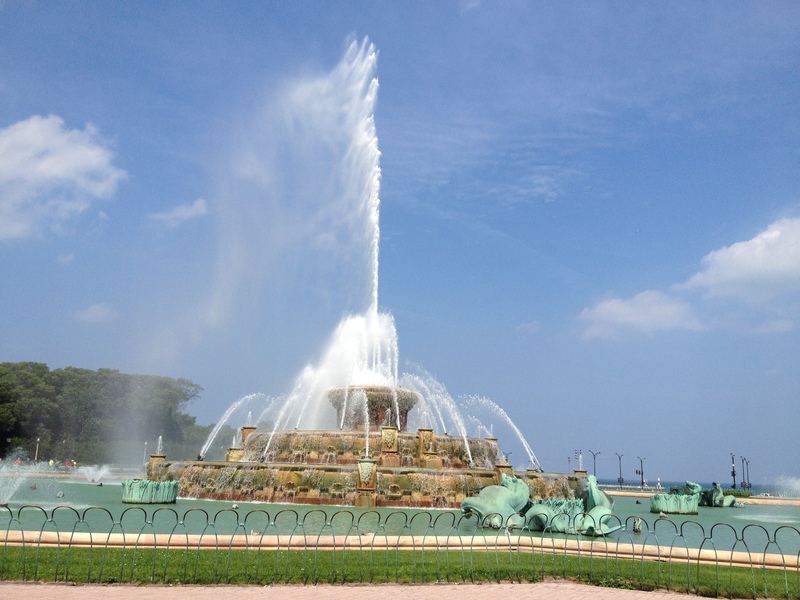 The landmark Buckingham Fountain in the center of the park, was dedicated in 1927 and is one of the largest fountains in the world. It has regular water shows and evening color-light shows and for obvious reasons is closed in the winter months. It is spectacular ! Our route continued along the Chicago harbor tree-lined pedestrian and bicycle friendly paths down to the Field Museum, the Shedd Aquarium, largest in the world, on to the Adler Planetarium and Astronomy Museum….and a view to the Chicago Bears Soldier Field. We came up the other side of Grant Park that is bordered by Michigan Ave and were in awe of the cleanliness, beautiful flower beds and massive floral-filled urns, magnificent statues and inviting benches all along and throughout this glorious park. After crossing the Chicago river, Michigan Avenue turns into the “Magnificent Mile” – Chicago’s largest shopping district, occupied by mid-range to high-end retail stores, restaurants, museums and hotels. Several of the tallest buildings in the United States, such as the John Hancock Center and the Trump Tower, as well as landmark buildings like the Wrigley Building, the Tribune Tower, and the Chicago Water Tower. No time for shopping, but we enjoyed a cocktail in the Signature lounge of the Hancock buildiing on the 94th floor and enjoyed incredible views of the city and beyond ! After a stroll along the Chicago riverwalk, bordered by hotels, city residential space, parks, and restaurants, we boarded a boat for a Chicago Architects Foundation docent guided tour focused on the architectural highlights of Chicago. Chicago rose from the ashes of the Great Fire of 1871 to become the home of the skyscraper and birthplace of modern American architecture. The tour was fascinating and enlightening – not to be missed. Twenty-three bridges cross the Chicago river within the city and every one of them open for taller river boats. The Willis Tower, formerly called the Sears Tower, is still the tallest building in the world if you are talking about occupied space rather than antenna towers. 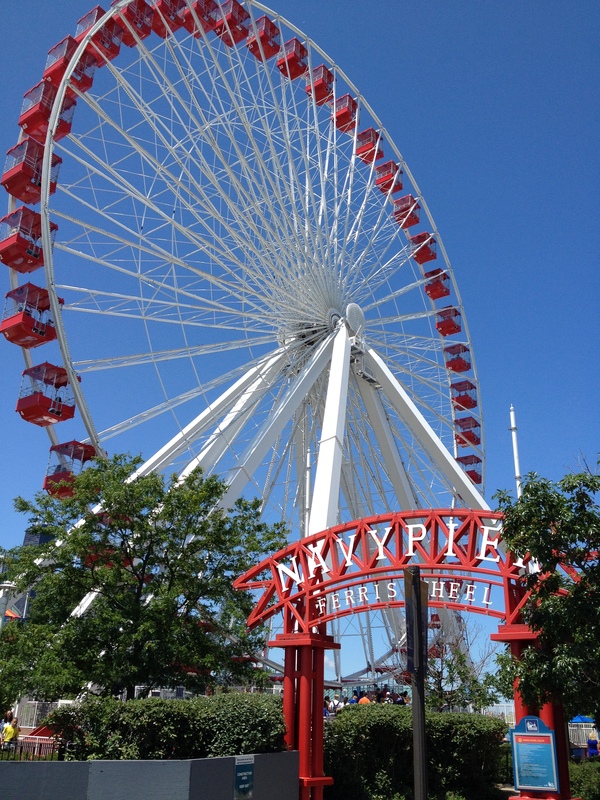 Navy Pier encompasses 50 acres of parks and gardens, shops, restaurants, an IMAX theater, a carousel and the giant Ferris Wheel, to mention a few things. From here you can also take boat tours offering views of the city skyline. If time allows, a few mile north is the famous Lincoln Park, complete with a zoo and a few miles to the south is the prestigious campus of University of Chicago in the Hyde Park neighborhood. I highly recommend a visit to this vibrant and culturally rich midwestern city ! 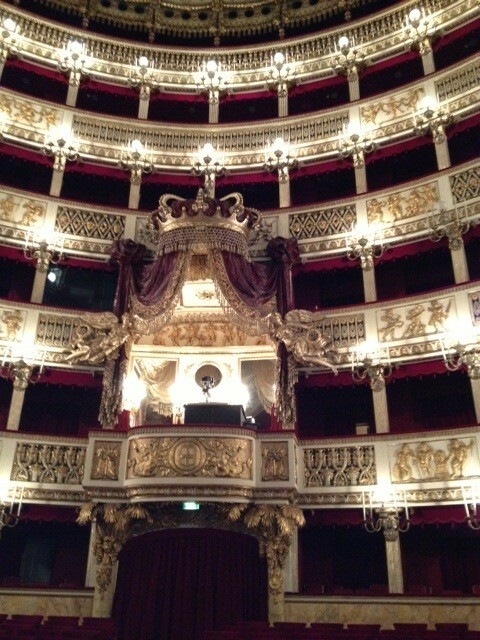 Italy has a wealth of beautiful, historic opera houses. Should you be in Italy during ‘the season’, you might want to make reservations for a performance. The opera season is generally October through March or April. 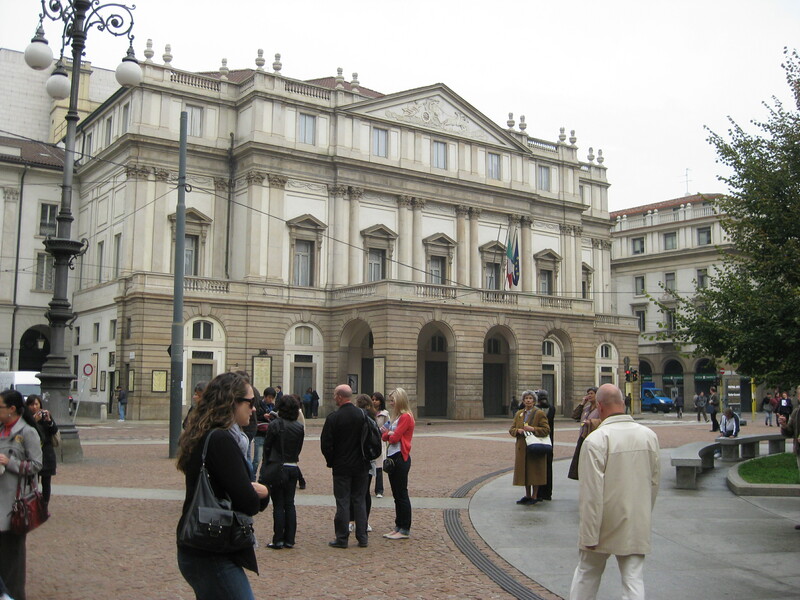 Milan’s famous opera house, Teatro Alla Scala, ranks number one. It reopened in December, 2004 after an extensive renovation. It has a bookshop, bar, and history museum as well. The original opera house, designed by neoclassical architect Giuseppe Piermarini, opened in 1778 and many famous operas were first performed here. La Scala was badly bombed during World War II but reopened in 1946 and quickly regained its reputation as a top Italian opera house. La Fenice (the Phoenix) in Venice, is also one of the most famous theaters in Europe. La Fenice first opened in 1792 but was twice badly damaged by fire. It has recently been renovated and reopened. La Fenice is in Venice’s San Marco Sestiere. The Teatro San Carlo in Naples is the oldest opera house in Italy, founded in 1737. Some of the first ballet productions were also performed here during the opera intermissions. Opera, ballet, and short comic opera are still performed at Teatro San Carlo. Teatro Massimo in Palermo is the foremost opera house in Sicily as well as one of the finest in Europe. Its opening in 1897 signaled the beginning of Palermo’s belle epoque. Year-round performances include opera, ballet, and music. Bologna’s opera house is one of the top theaters in Italy and also one of the oldest. It is a stunning example of 18th century baroque architecture. Located in the heart of Bologna’s historic district, the Teatro Comunale di Bologna holds opera, musical, and symphony performances. I recommend you visit theses beautiful theatres, even if your timing does not allow you to enjoy a performance.